a hot minivan barreling down the highway, filled to the brim with siblings, sleeping bags, and travel checkers sets—this is the setting for a decades-old american tradition upheld by millions: arguing over the radio dial until consensus is happily found at that hallowed institution, the oldies station. thus begins the story of ortolan, four young women from southern new jersey with music-loving, art-teacher parents, devoted to each other in laughter, bickering, love, and play. 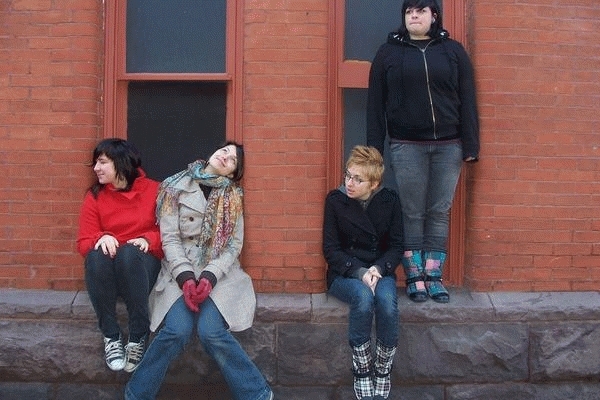 sisters stephanie (17), brianna (19), lara (21), and sister-in-law jill (24) also happen to create music that is singularly winsome, disarming, and sincere, possessing the same kind of universal appeal of 1950s and ’60s rock and roll, with its earnest abandon and joy in simple and uncluttered gestures. ortolan’s sound is at once familiar and new, a sort of musical déjà vu—where listeners remember that which they are hearing for the first time. This entry was posted in bands, indie pop, indie rock, music monday. Bookmark the permalink.